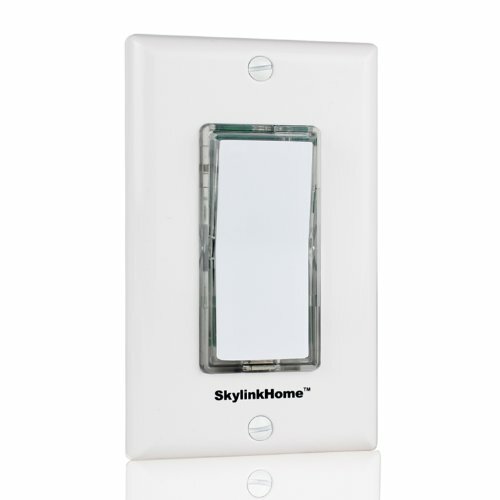 The SkylinkHome TB-318 Wireless Stick-on or Wall Mounted Remote Transmitter Light Switch allows you to add a wall switch anywhere you want without running wires and paying for an electrican. Requires Skylink HomeControl receivers to work (i.e. WE-001, WR-001, WE-318, LX-318 and more) The TB-318 installs in seconds to provide you convenient smart home anywhere wireless lighting control. Ideal for use on stairwells, entrance ways, garages and bedrooms. Turn your lights on/off or dim/brighten from two seperate locations. Arrives with pre-installed CR-2032 lithium long-life battery.